Artwork by Brian van der Pol. Print with white discharge ink. 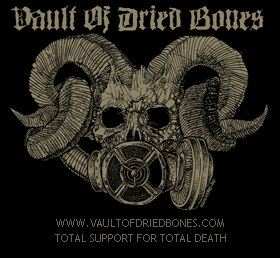 This entry was posted in News and tagged brian van der pol, death metal, necromancy, ritual, total death, vault of dried bones. Bookmark the permalink.